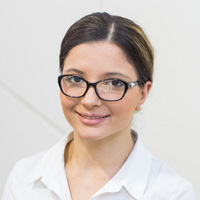 Andrea joined the Australian Water Partnership in September 2015. She has had five years’ experience as a project officer in construction management. Andrea also has a strong background in client/customer services and relations from her diverse hospitality experience and was previously a Brand Ambassador for Virgin Australia. This experience combined with her project management skillset has been vital to the effective operation and coordination of the AWP’s programs and activities with its international and Australian partners. Andrea is passionate about development aid in the Asia-Pacific and her qualifications complement her role at the AWP. She has completed a Bachelor of Arts (BA) in International Relations and Asian Studies at Western Sydney University and is undertaking a Masters in Project Management at the Australian National University (ANU). She also holds a Certificate in Management from the ANU.